I was completely impressed with Warner Bros Tile!! I was referred to them by a close friend of mine, and wouldn't think twice about referring them to others. When I called the woman was super helpful and polite, and came to our home the next day to give us a proper quote. She did a thorough walk through, took pictures, and discussed our options. I scheduled the appointment for the next week and in a day my floors completely transformed!! There was a previous spot damage that I was worried about and even though they couldn't completely fix it, they did such a great job I can hardly tell it's there now! Thank you Warner Bros Tile!! You have definitely brightened up our home! I wanted to thank Warner Brothers Tile Inc. for the great job they have done (inside and outside) the property. The owner of the company stayed on the job for the entire duration -- five + hours and worked side by side with his helpers. The result was -- magnificent cleaned up old, damaged tiles inside of the house. The also cleaned and renewed the outside pool deck. It looked great until the pool company came and ruined all that great work. The owner was gracious and came back to review the damage done by negligent pool company and fixed the problem by stripping and sealing the space again. I was on a deadline to finish the job and I cannot thank them enough. It's a good idea to consult with them and see if you need to clean or prepare your space (floor) prior to their arrival. The sealer was clear and was dry within few hours. Thank you so much, Warner Brothers Tile Inc. Really, really appreciated it your hard work and advice. Warner Brothers tile was a God send. 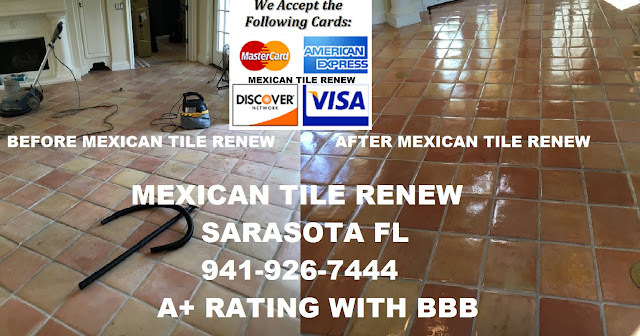 I had a different company come out and do my tile and they really messed up my grout and Mexican tile so I found and contacted the office of Warner Brothers tile and the next day I had a quote that was very fair and I felt comfortable the way they explain the steps they were going to do to fix my problem so I scheduled appointment a week later and after their crew got done with my floors they never looked so much better my grout is so clean it is actually a lighter color I was so pleased with their experience and hard work ethics they fixed my problems everyone that I have come to my house admirers my Mexican tile and I tell them if they want a professional very respectful company that does the job right the first time and on time for the right price then they need to call Warner Brothers tile I am so glad I did like I said they were a God send for me thank you very much I really appreciate all the hard work and beautiful job you guys did I tell everyone about your company thanks again.